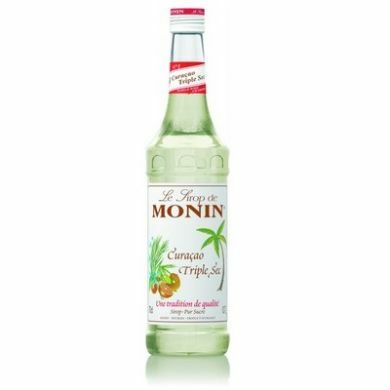 Monin orange curacao flavoured syrup in a stylish 70cl glass bottle. 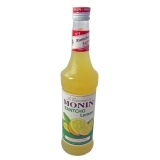 In the exquisite and creative world of Monin, quality, innovation, versatility and service are our priories. 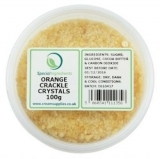 We are dedicated to providing our customers with the best flavours to use in the most popular and versatile applications. Our strength lies in anticipating the needs of consumers, wherever they are. Only the best, natural ingredients (fruits, flowers, spices & nuts....) are selected from all over the world to guarantee the pure, consistent taste in all our products all year long. Monin syrups are made from pure sugar which ensures optimal restitution of the flavour and respect for all other ingredients. Perfect for making classic cocktails. Ideal for use in cocktails, mocktails and soft drinks. Suitable for commercial or home use. Sugar, water, natural orange and citrus fruit flavourings.